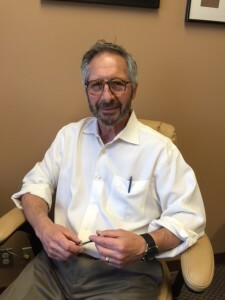 Anthony Russo has practiced law for forty years and is a member of the Washington State Association for Justice (WSAJ). He limits his practice to medical negligence, personal injury, and product liability. Mr. Russo is listed as one of the top 200 lawyers in Washington by Washington Law and Politics Magazine. He has been named a “Super Lawyer” every year since 2004. He is also a member of the American Board of Trial Advocates and has authored articles on medical malpractice and civil trial practice. Mr. Russo has successfully participated in and litigated cases at every level of the Washington State Court System. Mr. Russo obtained his B.A. from Westminster College and received his J.D. from the John Marshall Law School (Chicago, Ill.) in 1975. He served as the WSTLA (Now WSAJ) Medical Negligence Section Chair from 1987-1989. He has taught and lectured across the state of Washington on the issues affecting the practice of tort law in the medical community. He has served on both the Seattle-King County Bar Association and the WSTLA Legislative Committees and continues to serve WSAJ in its best effort to keep the medical lobby in Olympia from further limiting the rights of individuals injured in the health care delivery system. Among his credits, Mr. Russo has written articles on civil trial practice, jury selection, examination of key and expert witnesses, preparing clients to document their injury claims and face the insurance attorneys’ deposition and cross-examination questions. Mr. Russo was also the principle author of the court rules establishing mandatory mediation in health care claims (RCW 7.70.100-140). He has assisted in the drafting of numerous state statutes which affect the rights of injured people in their pursuit of justice. Mr. Russo has obtained for his clients numerous awards and settlements exceeding a million dollars. Mr. Russo and his firm were the principle attorneys for two of the families whose children died from E.Coli infection due to tainted hamburgers at the Jack-in-the-Box chain. Mr. Russo is admitted to practice in all of the Washington State courts, and has participated in injury claims in Oregon, California, Florida, Pennsylvania and Montana.